Welcome to AMPSLink, please log in. Secure, online ordering of Merged Credit Reports, Liability Updates, RMCRs. 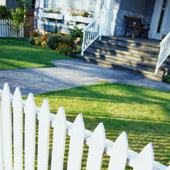 Re-issue AMPSLink.com credit reports through Fannie Mae's Desktop Underwriter. Access to your information at the office, at home, on the road, or from any other Internet-enabled PC. No proprietary software to install or configure. Interfaces with major Loan Origination Systems (LOS), including Ellie Mae ePass, Genesis 2000, and Byte. Online access to Credit Reports, Flood Determinations & Automated Property Valuations. WARNING: Credit information must be used for permissible purposes only. Unauthorized access is a crime and may result in federal prosecution. Customers are required to retain supporting documentation.